Protecting our information and identity online is paramount in our world where online activity is become more and more prevalent as time goes on. Whether that information is a credit card number, banking information, or even your search history, you don’t want anyone being able to track your browsing habits — both for safety and simple privacy. But the normal internet connection you get from your service provider isn’t as secure as some people would like. A VPN is your solution to keeping your online habits private. Using a “virtual private network,” you get the functionality, security, and management that the VPN service provides in order to keep safe and discreet online. VPNs aren’t just for privacy; you can use local VPNs in order to get resident online pricing for things like flights, hotels, and more. VPN Unlimited is one such VPN provider that can help you access the web safely and securely. A lifetime subscription generally retails for $499.99, but at Android Central Digital Offers, you can get yours for $39.99. 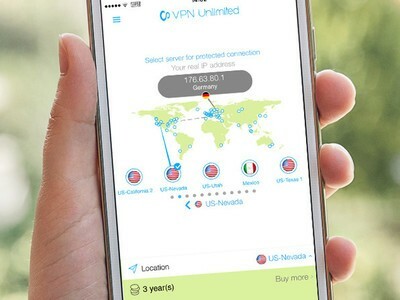 This is the lowest price yet for this great VPN service.